SAN JOSE, Calif. (AP) — A prominent California marine biologist on probation for feeding killer whales in the wild was ordered Wednesday to serve an extra year on probation for being too close to sea otters. A federal judge also ordered Nancy Black, who runs a popular whale watching tour on Monterey Bay, to pay a $2,000 fine. Black, who operates Monterey Bay Whale Watch, admitted to violating the conditions of her probation, which required her to remain at least 50 yards away from marine mammals, the Monterey Herald reported. 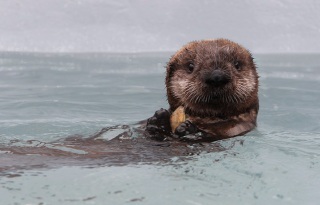 Black said she was documenting otter pup health in the Monterey harbor when a sea otter and her pup swam near her boat and someone took a picture.